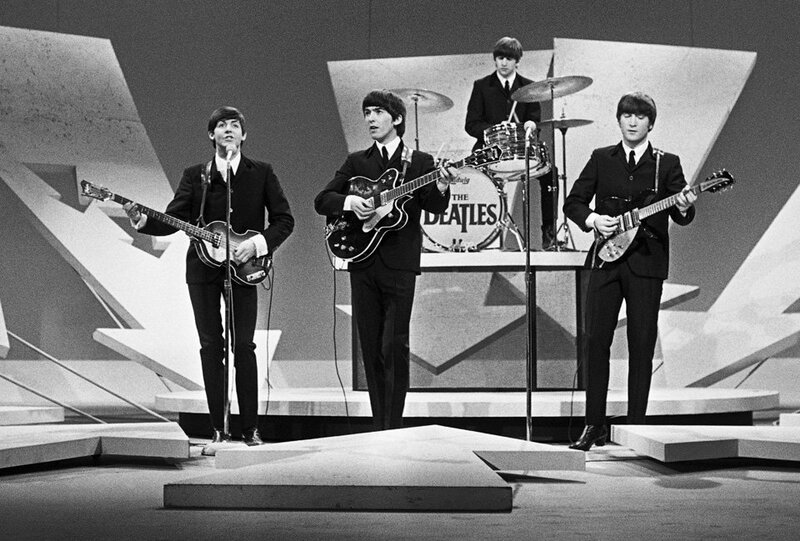 It’s hard to believe that it’s been 50 years since The Beatles first stepped foot in America appearing on the Ed Sullivan Show. We recorded the star-studded Grammy Celebration, which gave me a great idea for our Valentine’s dinner this year. I’ve laid it out for you in easy steps to follow, but you can add your own touches as well. For instance you may not like the songs I picked to highlight, but the good news is they have a plethora of titles from which to choose. The point is to make the night memorable for your spouse. Step 3 – Decorate using all white linens and plates, if you have them to represent the White Album. Dress in all white too, or buy Beatles T-shirts for both of you to wear. Step 4 – Set up a Pandora Station or Spotify Station for the Beatles. Step 5 – Plan what you’ll do after dinner. Give them a Ticket To Ride on a train somewhere, or at a carnival nearby. Watch a Beatles concert on DVD. Play the music from Step 4 and tell your spouse, “I’m Happy Just To Dance With You“. This entry was posted in Artsy Dates, Christian Marriage, Creative Dates, Date Night Ideas, Dating Your Spouse, Holidays, Valentine's Day and tagged Beatles 1964, Beatles Date Night Idea, Beatles Themed Dinner, Ed Sullivan Show, The Beatles, The Beatles 50th Anniversary. Bookmark the permalink. Oh, I LOVE this! 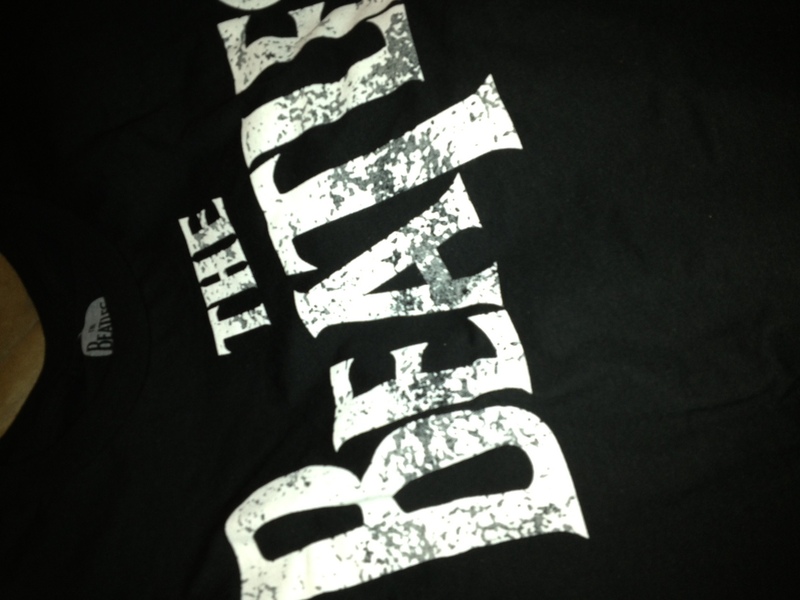 (I’m a big Beatles fan!) You’ve got my creative juices flowing now! My add-ons to your fabulous ideas: Yellow Submarine subs, Revolution ravioli, or even Come Together casserole. How about a Baby, You Can Drive My Car scenic drive in the country? Or a Lucy in the Sky with Diamonds trip to a local planetarium? Ah, you inspire! I love you additions! I should have called you when I was planning this one. Who knew we were kindred spirits! You always inspire me! Just curious, what’s your favorite Beatles song? My recent valentines day present was pretty cool because I got a private chef to come and cook a 3 course meal for my wife as a surprise but after reading your Beatles idea, I now know what I might do next year. I’m not sure how I stumbled on this site but I will surely be coming here again the next time I look to do something romantic for my wife because I must admit, this was a pretty cool idea. I hope you have some more ideas because I plan on coming back. Till next time! Welcome! We’re so glad you like our Beatles Date Idea. Check out our categories section located in the right sidebar. There are hundreds of ideas as well as the Husbands Only tab at the top where we provide ideas to surprise your wife for all the major holidays. If you have an iPhone/Pad/Pod we also offer a free app with date night questions to help you talk about more meaningful topics when you’re alone. Love the private chef idea! Thanks for your very encouraging comment! I love this idea! I wish my husband liked the Beatles. Who doesn’t like the Beatles? !